Unemployment rates for most recent college graduates have declined since the Great Recession but not for those who majored in communications and journalism, according to a new report from the Georgetown University Center on Education and the Workforce. “A promising find is that recent college graduates’ wage advantage has remained high in the post-recession economy, especially for STEM majors,” said Anthony P. Carnevale, director of the center and lead author of the report. The report notes how unemployment rates for recent college graduates with a bachelor’s degree aged 22 to 26 fell from a high of 7.9 percent in 2009-2010 to 7.5 percent in 2011-2012. • Education majors, who experienced unemployment rates as high as 5.7 percent among recent graduates in 2010-2011, have seen their unemployment rates fall to 5.1 percent. • Unemployment among health majors has “plateaued” since it rose to 6.1 percent in 2009-2010. • Unemployment among Physical Science majors has fallen to 5 percent after having risen to 7.2 percent in 2009-2010. • Agriculture and Natural Resources majors, whose unemployment rates rose to 7 percent in 2009-2010, have seen those rates fall to 4.5 percent. • Unemployment among Industrial Arts, Consumer Services, and Recreation majors, which rose to 6.8 percent in 2009-2010, has since fallen to 5.4 percent. • Engineering majors, whose unemployment rates rose to 7.5 percent in 2009-2010, have seen that number decrease to 6.5 percent. However, the “hardest hit” among recent bachelor’s degree graduates have been architecture majors, whose unemployment rate remains at 10.3 percent. Also hit hard were Communications and Journalism majors, whose unemployment stands at 8.2 percent and is still rising. 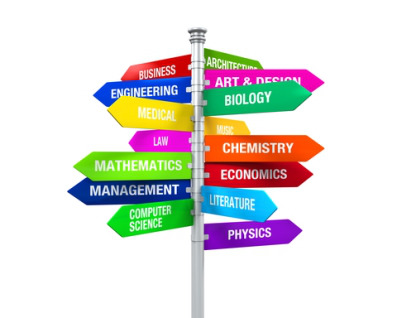 Other hard hit majors include: Arts (9.5 percent unemployment); Psychology and Social Work (9 percent unemployment); Humanities and Liberal Arts (8.4 percent unemployment); Social Sciences (10.1 percent unemployment); Law and Public Policy (8.6 percent unemployment). As with previous “Hard Times” reports, while the new report shows college graduates tend to earn more than those with only a high school diploma, it also notes how the wage advantage varies depending on one’s major. The wage advantage also takes longer to kick in for some majors than it does for others. For instance, among recent college graduates who majored in Arts; Industrial Arts, Consumer Services, and Recreation; and Psychology and Social Work, a college degree “confers no immediate earnings advantage.” In fact, the report states, the wage premium for those majors comes in at a negative 3 percent. But for graduate degree holders whose undergraduate major was in Engineering, however, the earnings premium stood at a massively impressive 225 percent. Looked at in terms of dollars and cents, earnings among recent bachelor’s degree holders aged 22 to 26 range from $31,000 for Arts and Psychology and Social Work majors to $57,000 among those who majored in Engineering. The report shows that unemployment rates of recent college graduates in 2011-2012 are less than those of experienced high school diploma workers, with the exception of those who majored in architecture and the social sciences. Recent college graduates in both of those majors had unemployment rates that hovered slightly above the 9.9 percent for high school diploma holders. The report does not proffer any reasons as to why communications and journalism majors haven’t fared well since the Recession but staff cuts and layoffs have been occurring at news organizations as print media decline and as the media landscape becomes increasingly digital. The employment landscape continues to be difficult for workers with only a high school diploma, particularly recent high school graduates. The report states that unemployment among experienced workers with a high school diploma aged 35 to 54 peaked at 10.7 percent and has since declined only slightly to 9.9 percent. For recent high school graduates, the report states, the unemployment rate peaked at 18.9 percent and “remains high” at 17.8 percent.